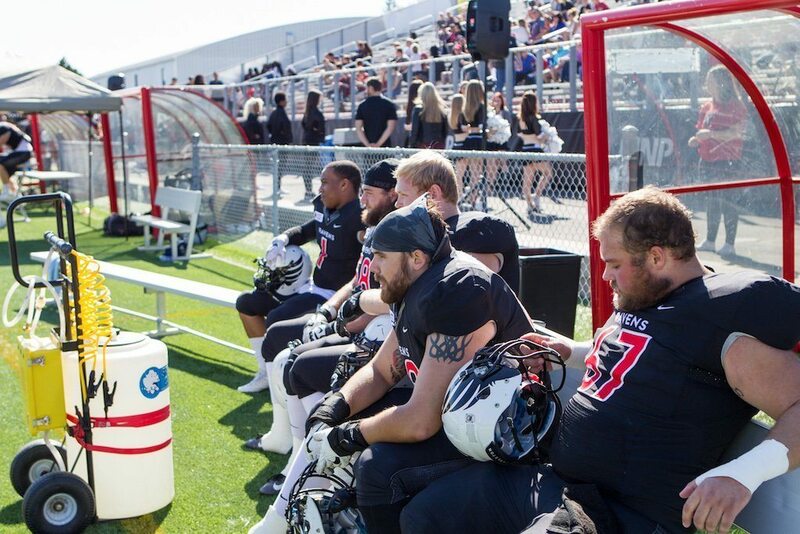 Carleton Ravens football games have been a lot quieter over the last two seasons. 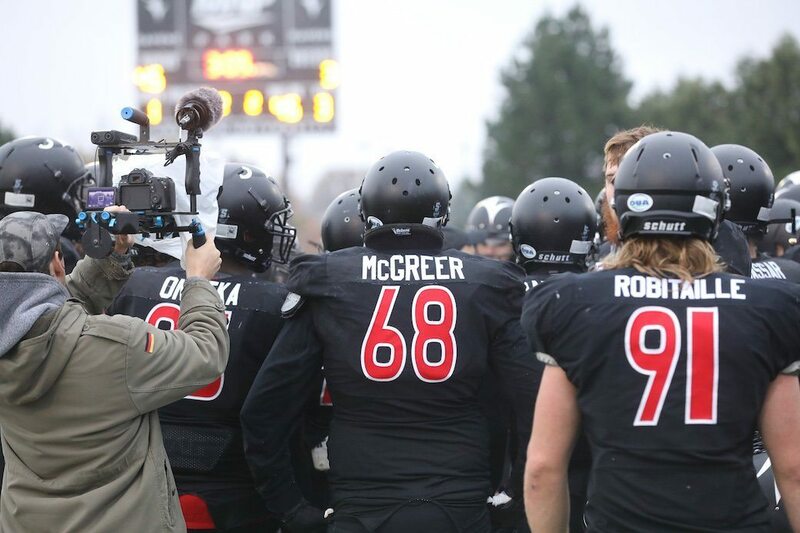 Missing from the sidelines of Ravens games is Andrew McGreer, father of Carleton offensive tackle Nolan McGreer, whose unexpected death shook his son but also showed what family means among Ravens. To Nolan’s football career, his father meant everything. He was first introduced to the sport by his dad when he was in Grade 4. Nolan participated in other recreational sports such as soccer, but his father wanted to see him playing something more physical. When he chose football over hockey, the first choice of his dad’s, who Nolan says was undeniably a “big sports guy,” he received unquestionable support. By his later years of high school, the pair’s simple games of catch before practice had turned into across the province drives to Team Ontario tryouts. Their knowledge of the sport grew together through to when Nolan joined the Ravens in 2014. 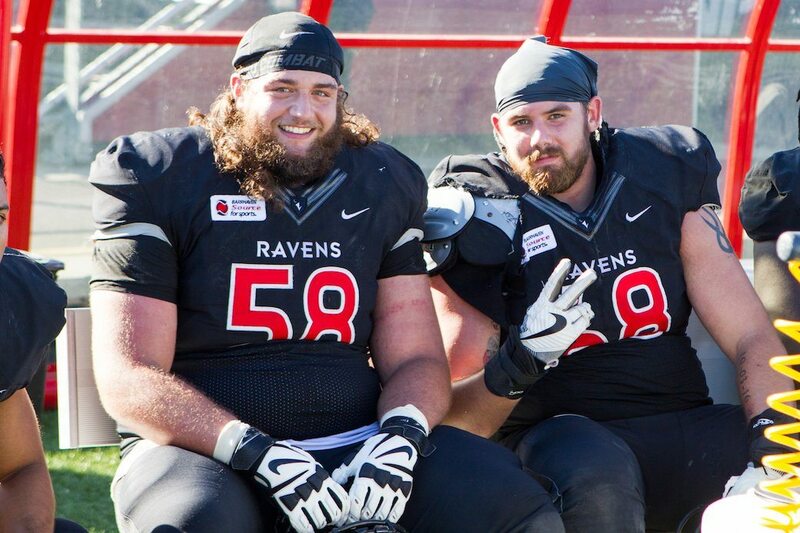 Nolan says he can’t recall his father ever missing one of his games as a Raven, despite his demanding and often on-call profession as a CN Rail driver. “He’d always find a way to make it,” he says. By his second-year, Nolan had become a rotational starter on the Ravens offensive line. The following off-season in late February, Andrew fell ill with the flu and was admitted to the intensive care unit in Kingston, Ont. Nolan took time away from university, and away from his team, to be with his father while he was in care. He was a big personality. He was a very vocal guy. I think the referees probably knew him by name. Nolan missed Ravens voluntary training at this time, something uncharacteristic of the then second-year. He says the outpour of support and sympathy that followed was unbelievable. Midway through the visitation for his father, he watched about 40 members of the Ravens football team walk through the doors of the Hannah Funeral Home in Napanee, Ont., about a two and half-hour drive away from Carleton University, after making the trip to support Nolan and his family. The fact that they took a day for that is something special. Nolan says he witnessed his grandmother be overwhelmed by support from his coaches and teammates. For Nolan, this drilled home something he already knew – that his Ravens teammates are as close as kin. The date of his father’s death accompanied by his initials, written in the fashion of 10 - 03 - 16 A.M., has since been inked on Nolan’s left forearm. It joins their last name that has long been tattooed down his right tricep. Football is only for three or four months. But you’re a team 24/7, 365 days a year. You hang out together – they’re your best friends really. You’re in the gym with them every day. They’re your adopted family. It was very nice to see so many guys to come in. These were guys I had only known for two or so years, and they were already a part of my family. In the Ravens football dressing room exists another every-day reminder of his father in the form of a special plaque that hangs next to the nameplate of his locker. He says it reminds him of a lesson learned from his dad. One of his lasting messages (to me) was don’t show weakness, be tough. 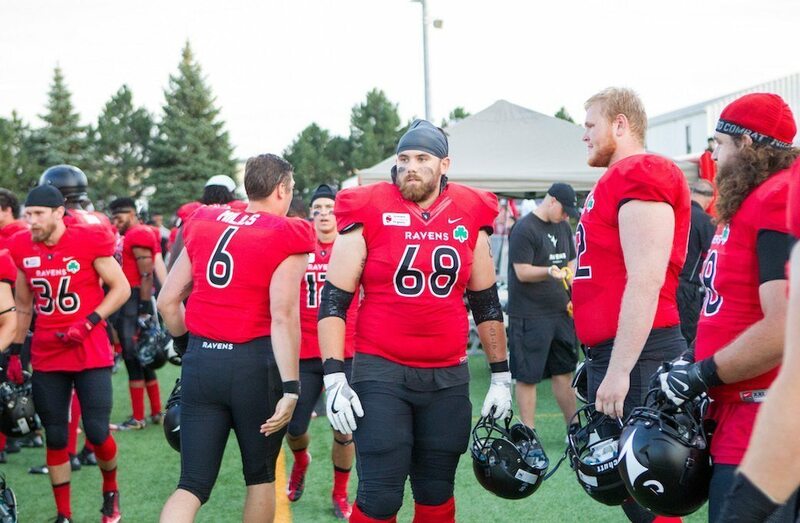 Nolan wishes his father could have seen the success of the Ravens last season – including a win over the Western Mustangs and in the OUA playoffs against the crosstown rival Ottawa Gee-Gees – and to witness his personal success after playing in the U SPORTS Valero East-West Bowl, and generating interest at the CFL level. “I know if my dad was here he’d say, ‘Wow, that’s awesome, but can you strive to be better than that?’” says Nolan. Nolan and the Ravens (1-3) look to stay in the playoff hunt against the (4-1) Gee-Gees in the Panda Game on Saturday at 1 p.m. ET, live on CHCH. 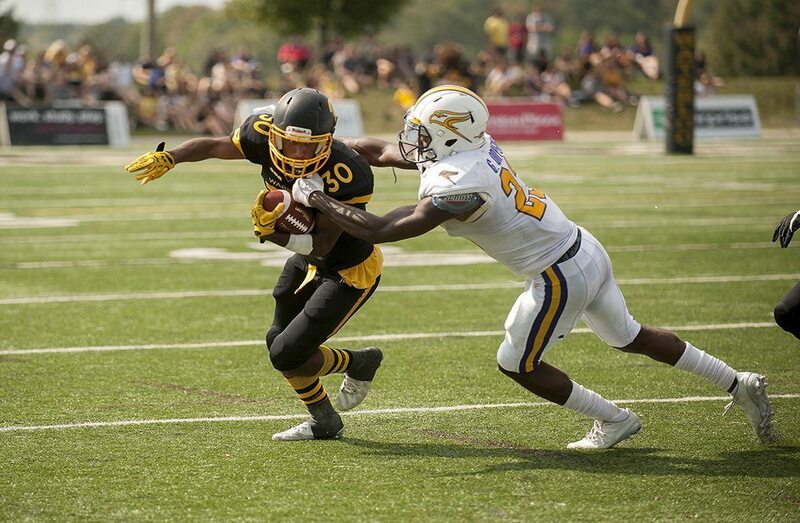 The Ravens have bested the Gee-Gees in three straight years in the annual matchup at TD Place Stadium, including last year’s 43-23 win in front of a sellout crowd of 23,329 fans – the largest crowd in over two decades for a U SPORTS regular season game.